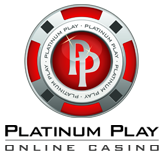 WPT Casino is a part of the WPT brand, which organizes live poker tournament series across the world. 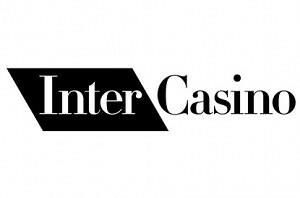 Also known as the world poker tour, this is one brand to look out for. Their casino is powered by bwin.party systems, which is the worlds largest online gambling company. You’ll be able to play unique games that are available only at a handful of the very higher end casinos in the industry. WPT is also fully licensed by the Government of Gibraltar and ensure fair and secure games using Thawte Security. WPT is fully powered by bwin.party, the same software that empowers all games found on Party Casino. Even though the latter is compatible with multiple platforms, we were a little disappointed to find out that WPT is only compatible with devices powered by Windows operating systems. All games can be played only in a downloadable version of a client, which is a little bit pity, given that many people enjoy playing them from their browsers and even more, all those people thinking differently (Apple Slogan) won’t be able to play the games. 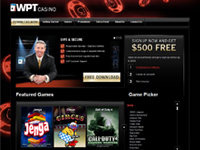 Regardless of all the perks, the actual gaming experience provided by WPT is staggering. Hundreds of games available, all of them with quality graphics and truly exceptional gaming experience offered. More than 250 games offered must stand for something and it really does. You’ll find a really diversified range of games at WPT including slots, scratch cards, video poker, raffle jackpots and more. Let’s take a look at some of the featured games on the offer. Cleopatra – a five reel slot game created after the ancient Egyptian queen. She’s been visualized as the wild symbol and will substitute for all other symbols. Get three or more scatters anywhere on the reels and you’ll get free spins, where all winnings will be tripled. Hulk – a five reel, twenty five pay-line slot machine that is created after the super hero Hulk, who is a hero from the Marvel Comics. There are several bonus games that can be triggered as well as three progressive jackpots, which are pooled across all Marvel Slots. Snow Business – an arctic theme slot game with symbols such as penguins, fishes and more. Play on up to 30 pay-lines and trigger the free spins by spinning at least 3 iceberg symbols anywhere on the reels. Thor – a five reel, nine pay-line slot machine created after a popular Marvel comic character – Thor. He’s also the wild symbol in the game and will substitute for any other symbols, except the scatter. King Tuts Fortune – a five reel, 20 pay-line slot machine themed after ancient pharaons and offering an exciting and rewarding bonus game. A lover of table games? WPT will likely exceed your expectations as there are more than 60 table games on the offer, including multiple variations of blackjack and roulette. BlackJack – Bonus Pairs, High Limit, Multi Player, Multi Hand, High Limit, No Download, Single Deck, Single Player. 50% extra up to $500 on your first two deposits (50% up to $250 each) for all casino games players. Use a bonus code ALLGAMES500 when depositing to pick this bonus up. 100% up to $500 for slots players – make a deposit of $500 and start with $1,000! Use a bonus code SLOTS500 to pick up this cash. Blackjack, Table poker, Keno, Roulette, Slots, Jackpot Slots, Scratch Games. You’ll have to wager 100 times the bonus and deposit amount, which means that if you claim a bonus of $250, you’ll have to wager $75,000. The slots deposit bonus can be released by playing all slots, including jackpots ones. Classic slot games are excluded, though. You’ll have to wager 20 times the deposit + bonus amount, before a bonus will be available for withdrawal. If you claim a 100% up to $500 bonus, you’ll have to wager $20,000 before you’ll be able to request a cash out. Players will have 10 days to clear the bonus, if you fail to do so it will automatically be forfeited. In case you have any questions or problems, there are several ways to get in touch with a representative of WPT Casino. FAQ Section – find answers to the most common questions. 24/7 E-Mail – two emails for either customer care or cashier team.